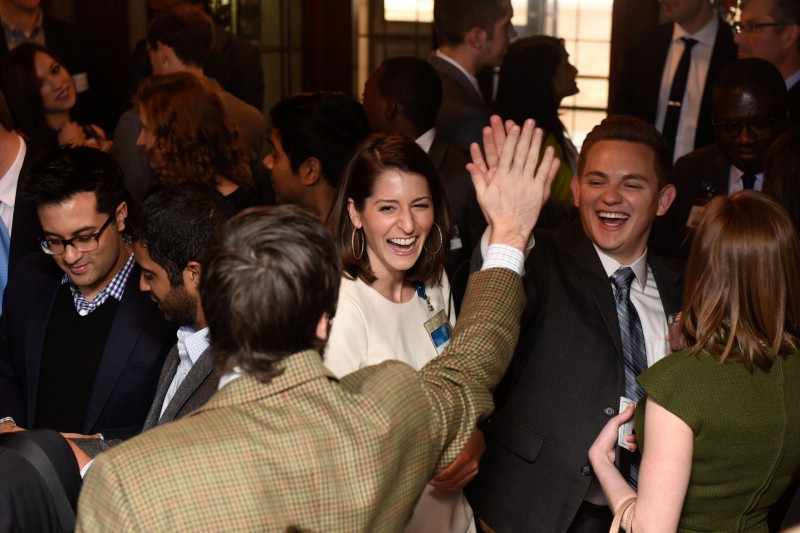 ROCHESTER, Minn. — On Friday, March 16, fourth-year medical students from Mayo Clinic School of Medicine will take part in the National Resident Matching Program, often referred to as "The Match" or "Match Day." WHO: Fifty-one medical students from Mayo Clinic School of Medicine will participate in residency match this year. Alexandra Wolanskyj-Spinner, M.D., senior associate dean for student affairs, families and friends of students. WHAT: On Match Day, March 16, 2018 thousands of graduating medical students in the U.S. and around the world learn the specialty and location of the residency program where they will train for the next three to seven years through national resident matching programs. For medical students, matching to a residency program is a rite of passage – an important next step in their journey to becoming a physician. In coordination with the National Resident Matching Program, medical schools around the country keep student match results confidential until the celebratory match reveal at noon on March 16. WHERE: In Rochester, Match Day events will be held at Rochester Marriot Mayo Clinic Area ballroom, 101 1st Ave SW, Rochester, MN 55902. 10:45 a.m. CDT Four medical students and Dr. Wolanskyj-Spinner will be available for media interviews. 11 a.m. CDT The student reception with family and friends begins. 11:30 a.m. CDT The Match Day program begins. Noon CDT The Match Day envelope opening will reveal residency locations for students. Members of the media should arrive by 10:40 a.m. CDT and report to the main foyer to the Rochester Marriot Mayo Clinic Area ballroom. RSVP to Matthew Brenden, Mayo Clinic Public Affairs, at 507-284-5005 by 9 a.m. CDT on March 16. Mayo Clinic School of Medicine is a national medical school with a four-year medical degree program in Rochester and a new program opened on Mayo Clinic’s Arizona campus in July 2017. The school also offers a two-plus-two program enabling students to complete their first two years of medical studies in Rochester and their final two years of learning on Mayo Clinic’s Florida campus.